Mario & Sonic at the London Olympic Games (マリオ&ソニック AT ソチオリンピック) is the 4th title in the Olympic games series. This is the fourth collaboration with Nintendo and Sega under license from the International Olympic Committee (to correspond with the Sochi Olympics, scheduled for 2014). The game itself features the hosting city of the games, Sochi, in Russia. 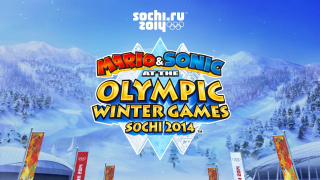 Like previous installments, Mario & Sonic at the Sochi 2014 Olympic Games is developed and released for Nintendo's current console system, Wii U. Unlike previous iterations (or the following iteration, Rio 2016), it is not available for Nintendo's handheld system, the 3DS.